Had a mammoth cutting out session this morning,all sewing for our holiday.So now I'm ploughing my way through it. 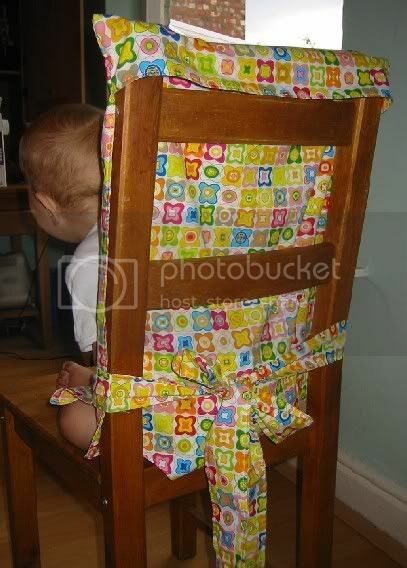 First completed item is a chair sling for Sid. I had one of these for India that my step Mother in law gave me.She had made it for her daughter who is now 23! 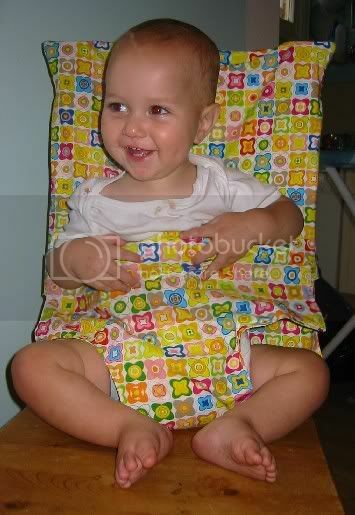 I started by looking at the pattern here http://www.sleepingbaby.net/jan/Baby/chairseat.html ,and using the measurements as a starting point drafted my own pattern.